2 Donors Donate for 2 Different Patients on the Same Day! You are here: Home / Stories about Donors / 2 Donors Donate for 2 Different Patients on the Same Day! I registered as a Bone Marrow Donor in 2006. Before that I participated in 2 shavathons and felt that I didn’t have anything to lose and that I could only help someone else if I register. We sometimes forget how privileged we are to have good health. In November 2008 I was contacted by the South African Bone Marrow Registry (SABMR) because I was identified as a possible donor. This was very exciting news for me because I thought I could give someone a BIG Christmas present should I be found to be a match. I felt so unbelievably privileged when I walked into the haematology ward for my first donation. I was able to lengthen someone’s life. WOW!!! What would you give to have that opportunity? The procedure itself is similar to donating blood, but it takes longer. As I look back, I have no doubt in my mind that I would do it again. The more you give, the more you want to give. Why keep it all to yourself? This is one of the ways you can thank God for what He has given us. Don’t think, just do!! And to the recipients don’t lose faith! “Om sonder hoop te leef is dieselfde as om op te hou leef”. For some people it is this quote from Alexandre Dumas that carries them through dark times when their bodies are weak and all that remains is that small hope that someone will give them the chance to a new life. 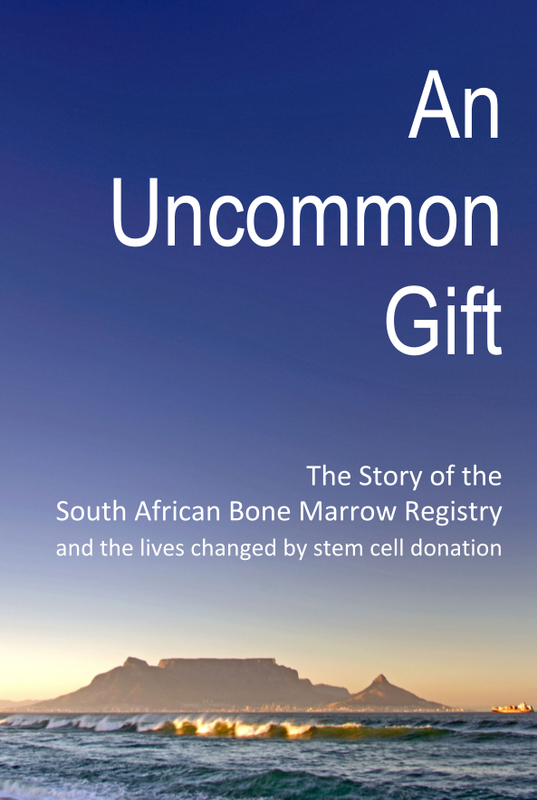 During the past ten years, only 52 donors from a pool of 64 500 possible donors in South Africa on the SABMR, were found to be an exact match to a patient in need of a bone marrow transplant. It was thus an honour for me to be number 47 on the list. This miracle takes hold of your life and changes it for the better. The feeling of giving light in someone else’s life is wonderful. The process asks so little of you and yet it can change someone’s life miraculously. I honestly never thought I would be contacted, but when that important phone call came, I experienced emotions of fear, excitement and disbelief. All the months of testing and preparation to determine whether you are an exact genetic match to that specific patient, became a time when I myself started hoping for something miraculous and started realizing that miracles do still happen. This privilege does not ask much of you, in fact everyone at the registry treats you with the utmost care and consideration, but you soon realize that you have been given the opportunity to really make a difference in someone else’s life. It is not just like helping a person with money or food, but the opportunity to give someone one or two more Christmases with their family. Your decision can make a miracle happen in the life of a terminally ill patient that is anxiously awaiting someone who can bring hope in their lives. Don’t wait! Make the decision that can help another person today, because tomorrow might be too late.